Take care of all your clinical and medical waste! If you are a busy business owner or manager in the medical sector such as a Doctor, Dentist etc – or operate a business such as a beauty salon, tattoo parlour or acupuncture – you may be asking yourself if you require clinical waste services such as a medical waste bin or sharps containers? Clinical waste regulations vary by state – but there is a lot of similarity in your responsibilities and options. – animal tissue, carcasses or other waste from animals used for medical research. Clinical waste bins Australia come in standard yellow colours (EPA clinical waste colour coding) and comply with all clinical waste transporting and disposal / treatment legislation. ”We provide standard 120 and 240 litre wheelie bin sizes – but can also provide smaller clinical waste containers such as 20 litre pails on request. Generally, sharps i.e. needles etc – can be disposed off inside the medical waste disposal bin – when in a sealed sharps container. Final treatment of the waste is via incineration or autoclave – depending on your location. This complies with all clinical waste disposal guidelines and legislation. Our friendly and professional team will enter your premises during work hours – to swap the medical waste container over for a new one each time. This ensures optimal cleanliness and efficiency. We operate on flexible 30 day agreements – so you never need to sign a long term contract for your clinical waste collection services. Once you have a clinical waste disposal policy in place - let Waster take care of your collections and disposals. We make your medical waste bin collection services very easy - on a regular schedule to suit your needs and on flexible 30 day agreements - so you are not locked in if anything changes regarding your clinical waste needs. All our bins are colour coded yellow, and our bins, transport and treatment complies with all relevant clinical waste disposal regulations. Clinical waste disposal cost is accessible to all businesses. Prices per bin collection vary per region. Please check our online shop as below. We offer different bin sizes to suit all your business needs. The clinical waste bin is swapped for a new unit each service. Our trained team will enter your work premises to collect the bin during work hours. Clinical waste bin colours are Australian standard yellow. Comply with all relevant clinical waste disposal policy legislation. The contents will be taken for incineration or treatment via autoclave (depending on location). Ensure your waste is treated in compliance with EPA best practice. Yes, I Know What I Am Looking For - Take Me Straight To The Medical Bin Options And Price! If you already know that you need to arrange a clinical waste disposal service for your business -you will be wanting to know the price and service details. We provide collection services in standard clinical waste bin sizes – 120 litre or 240 litre bins – in Australian standard clinical waste bin colours of yellow. Pricing varies by region and collection frequency. Pricing is very straightforward – a 240 litre bin collected once a month in Sydney costs $65.00+GST per service for scheduled services (at least once every four weeks or more frequently). Pricing is provided in our online portal for all metro regions. You can generally dispose of a sealed sharps container inside a medical waste bin when collected – at no additional charge. Waster can also arrange for drop off of new sharps containers each time we service the medical waste container. There are no other fees or charges. The service fees includes provision of the clinical waste bin, collection and swap-over for a new clean bin unit each time. Clinical waste bin collections through Waster ensures that your business deals with all relevant clinical waste regulations – and helps you implement an effective clinical waste disposal policy. CHECK MEDICAL WASTE PRICES AND OPTIONS ONLINE RIGHT NOW! 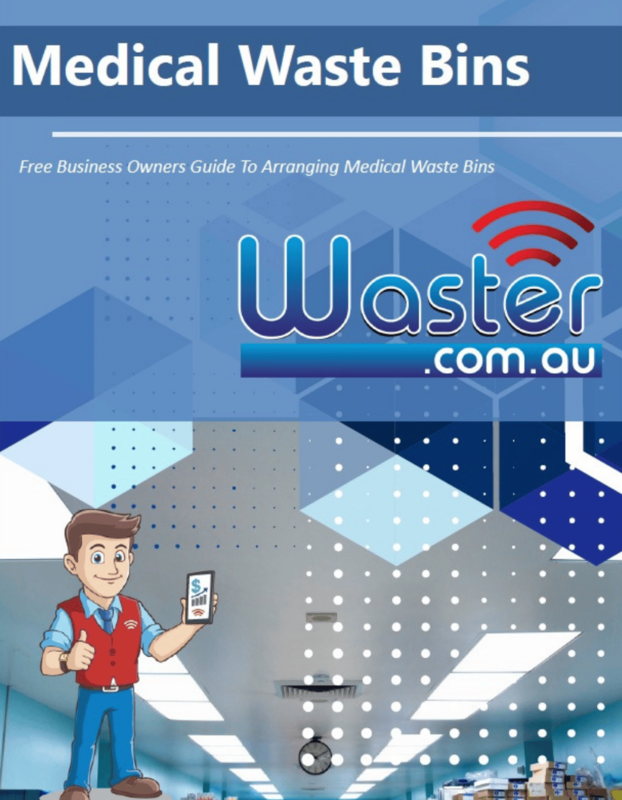 Get your free PDF download covering everything a smart business owner or manager needs to know before arranging clinical waste bin / medical services for your business. Learn to avoid common mistakes - and also the questions you should ask any supplier! Waster is fundamentally different to other medical waste disposal and clinical waste collection companies in a number of ways. 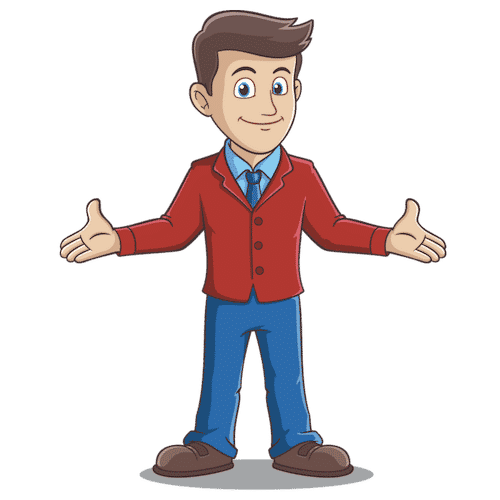 We are focused exclusively on small and medium companies – so we know exactly the types of challenges you face and the business objectives that you have. We offer all waste and recycling services available in the Australian market (not just clinical waste bins) – the type of services that were previously only available to major multinationals and large chains. Even the smallest business can now access recycling services such as organics, soft plastic as well as cardboard, medical waste, confidential paper etc. We help many medical practises with sanitary services, confidential paper bins and of course general waste also! WARNING: Before you book your clinical waste or sharps collection service with Waster – think do you have other waste management and recycling services with different providers that we can help you with today? Nearly every company has general waste bins (the red bin), recycling bins such as paper and cardboard or commingled recycling (yellow bin for bottles and cans). Whether you are a medical practise or a tattoo parlour – you will likely require additional waste and recycling services. At Waster – we work with small and medium companies to boost their recycling and reduce their total costs for waste management. Ask us for a quote for your other services also.